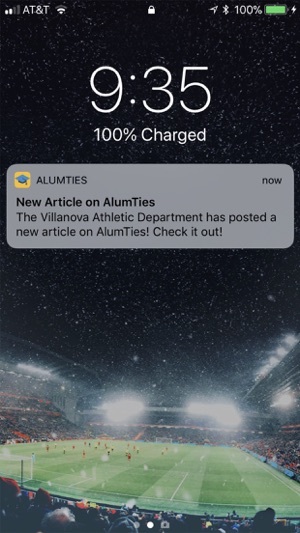 Using the AlumTies mobile app, alumni are able to stay in-touch with their school and on-campus organizations, keeping up to date with the latest news, events, and projects, providing them with a platform to provide monetary and non-monetary support to the institutions and on-campus groups they’re passionate about! 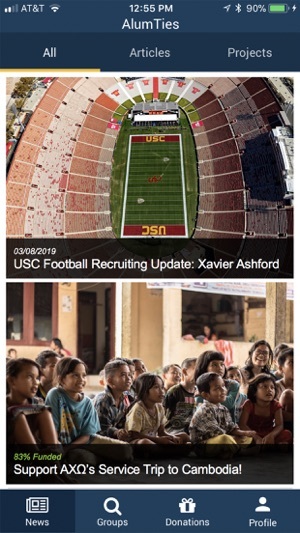 Fed up with your school mailing, emailing, and spamming you with irrelevant on-campus "news"? Tired of receiving generic, impersonal, and overtly pushy requests for donations? We sure were. With AlumTies, we're putting the power back in your hands. 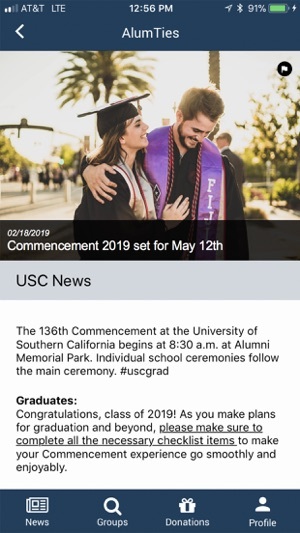 Using the AlumTies app, users can self select what information they want to receive. Recent or legacy graduate? Friend or family member of someone currently in school? 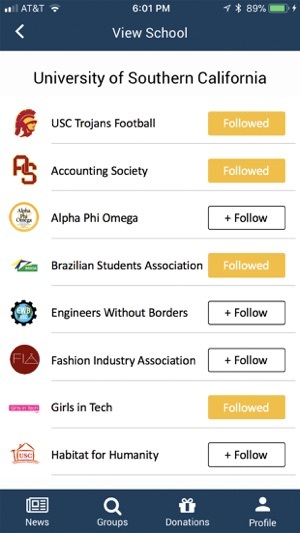 Use AlumTies to follow the on-campus groups and organizations from which you'd like to receive updates. Each time the group posts a new article, you'll receive a push notification to your phone, notifying you of recent developments. Feeling particularly inspired? 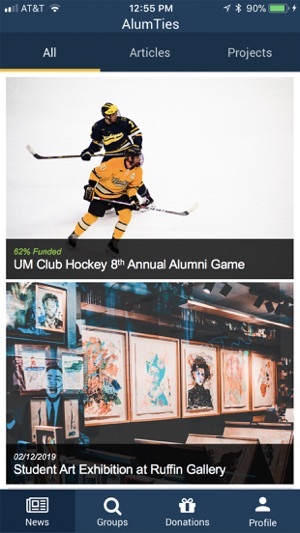 AlumTies gives users the ability to donate back to specific groups or projects, helping them to fund and realize their goals! - Provide a donation or monetary contribution to the groups of your choosing, helping them to realize their goals!